I feel like I’m pretty familiar with videogames. I’ve played one or two in my time, and I have a general idea of the games that are out there beyond my realm of experience. 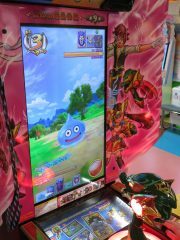 When I came to Japan, I mostly knew what to expect in an arcade: A few fighting games, a few shmups, some Gundam stuff, and a bunch of rhythm games where somebody wearing fingerless gloves will be showing off their skills. I was missing a whole category, though, and it’s not claw machines or horse racing or pachinko. I’d only heard of this kind of game once before, and only because it has an anime targeted at children. There’s an entire world out there of scannable card games. That is, arcade games where the gameplay is affected by physical, real-world cards that you scan into the machine, and which the machine prints out for you after each play. These games come in all forms. Like I said, my initial knowledge of the genre came from a girly dancing game targeted at children, but my favorite came to be a fantasy-style RPG game…also targeted at children. All games start the same way. Whether it’s choosing your equipment or building a party, you scan in a few cards. 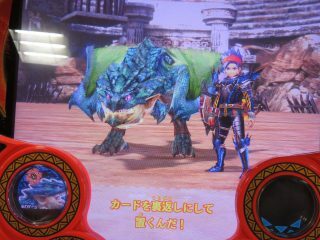 If you don’t have any cards, you’ll get a basic set of equipment or a random set of party members. Next is the actual gameplay—maybe it’s a rhythm dancing game, maybe it’s a turn-based battle, maybe it’s an actual card game or something else. There’s usually three or four buttons at most, maybe with a joystick if you’re lucky, so the gameplay is never anything complex. 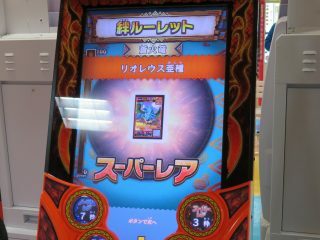 After play is over, you’ll get to select the card you want and the machine will print it out for you right then and there! Most games also have national and local leaderboards, so you know for a fact who has the best cards. Step 1: Get the card in the game! Step 2: Get the card FOR REAL. Step 3: Use the real card in-game! 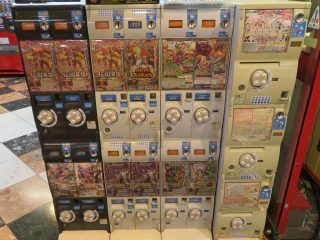 It’s usually 100 yen per play, which is basically a dollar. This can get super expensive if you like a game enough to keep playing. It reminds me in some ways of “casual” Facebook and mobile games. 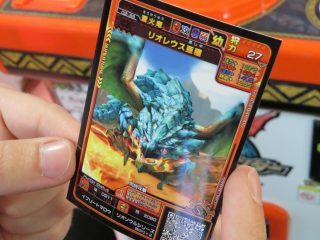 A major component is the random chance of what cards are available to print on any given play, and you have to keep putting in money if you want to complete that set of equipment or get that rare monster. 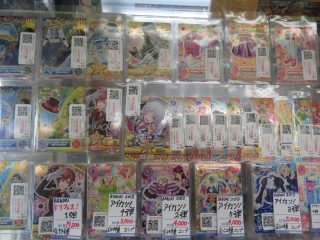 The RPG game I mentioned before gave you one free card per play, but if you wanted to keep all three of your leveled-up characters from every round, you’d have to pay 300 yen. Some machines even let you skip the gameplay part and just put in money to get a card (at random), or the arcade might even provide a separate machine that spits out a card when you put money in it. 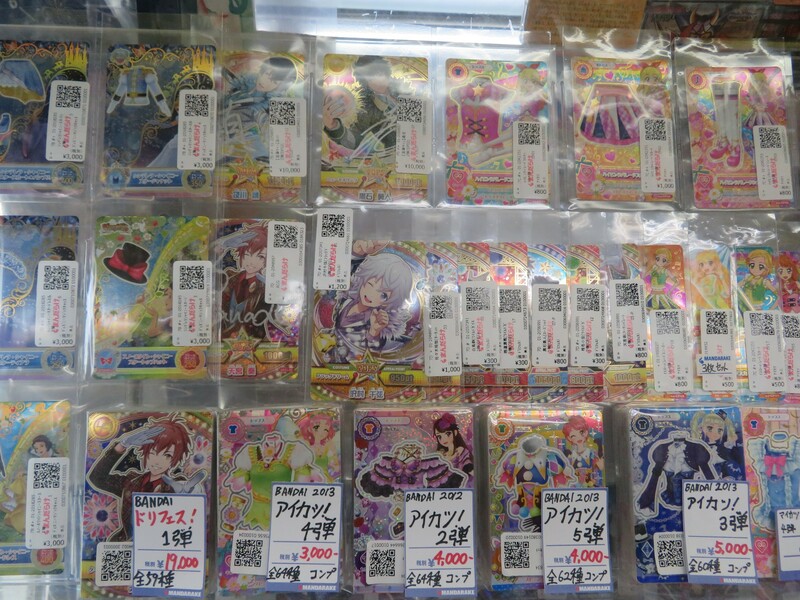 More popular games might even have toys or candy you can buy, which comes with a card in the package. 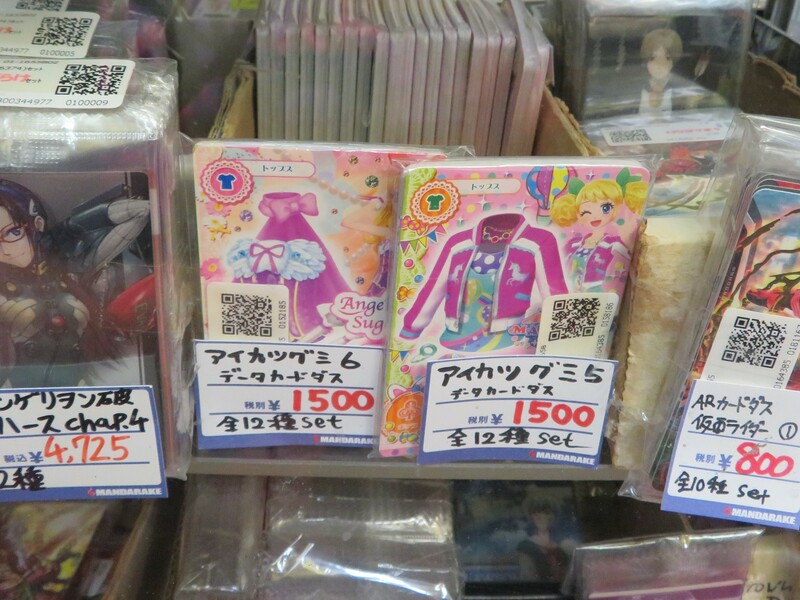 I’ve also seen sections in game stores selling second-hand cards individually or as full sets. I’d like to note that “targeted at children” seems to be a key factor here, because some arcades I’ve been to have lacked the genre completely, and others have been nothing but claw machines, picture booths, and scannable card games…all things primarily targeted at younger audiences. When you throw in “addictive” and “starring your favorite cartoon characters”, I don’t think it mixes well with the personality traits “primarily driven by impulse” and “attracted to flashing colors” that most children have. Did I mention that most of the games have cartoons? There are games with major licenses like Gundam and Dragon Ball Z, as well as recent, popular shows like Boku no Hero Academia. 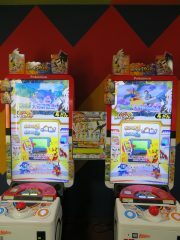 Even some of the ones that weren’t already based on licenses went on to spawn their own cartoons and non-arcade-card-game games. 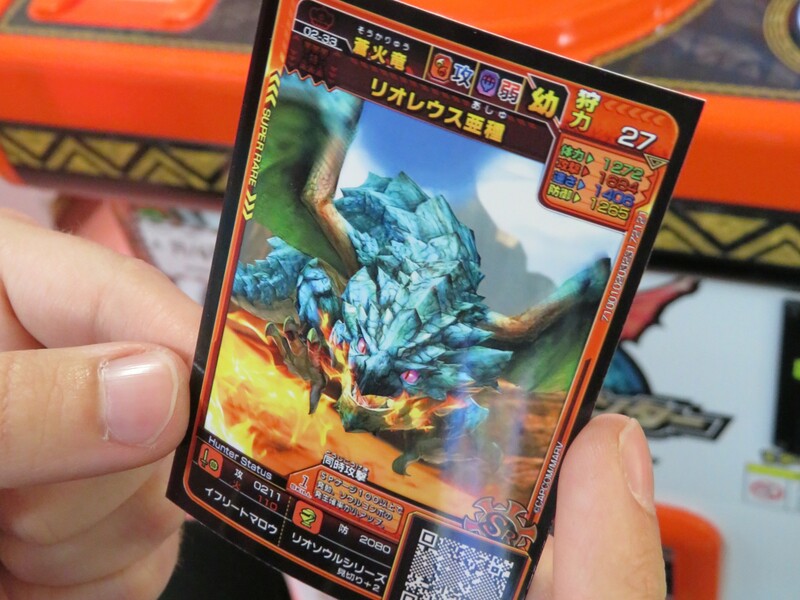 Licenses from other game series are present as well, with scannable card games based on Pokémon and Dragon Quest. I’m having trouble thinking of a scannable card game I saw that didn’t also have some sort of cartoon incarnation. I know it’s no different in America (minus the arcade part), but it’s strange to think of an entire economy based on convincing children to spend their parents’ money. It really makes me wonder how much the average Japanese child gets for an allowance. I can barely afford to hang out in the arcade as an adult, but huge, multi-level arcades are all over town, so they’re obviously making enough to stay in business. Not off of me, though. After spending about $20 over the course of an hour, I decided that maybe I should find another form of entertainment. Where did you find the “boku no hīrō academia: gekitotsu! heroes battle?” game at? 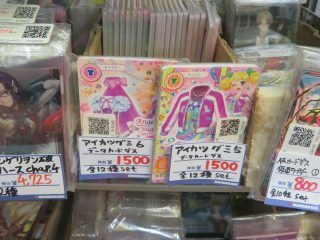 It’s been over a year since I took these pictures (and I’m not in Japan anymore), so I can’t say if they still have the game. It’s not listed on the Sega World site, but it also doesn’t look like they list every game at the location. The website for the game itself (http://heroesbattle.jp/) shows recent updates, so I want to assume it’s still around…but it doesn’t have a way to find where to play, so it doesn’t help much. Sorry! Maybe it’s out there somewhere. Hopefully you’ll get to live your dream and play the game some day. Thanks for getting back to me so quick! 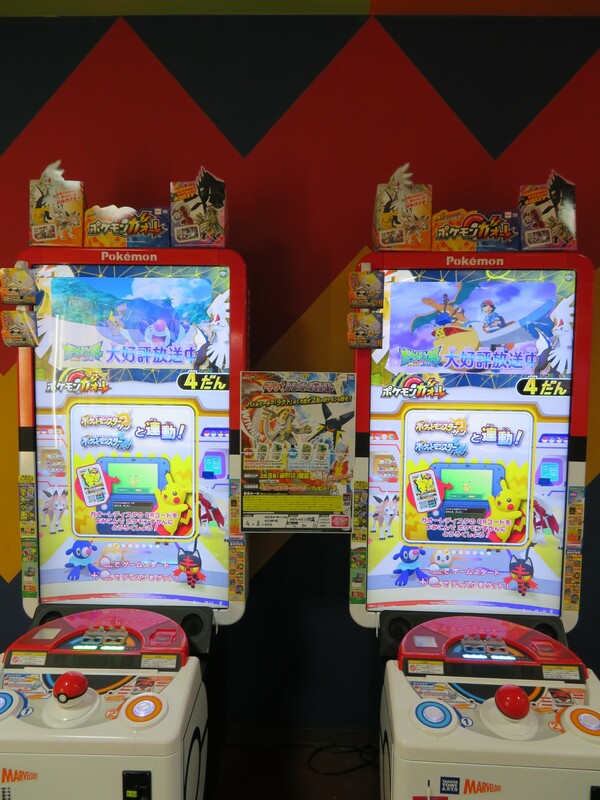 I found one game (The newest version) in Akihabara but then found out from their website that they have older hero academia games/cards (like in your photo) so I have been on the hunt for that but with no luck. I’ll just have to keep on looking thanks again! 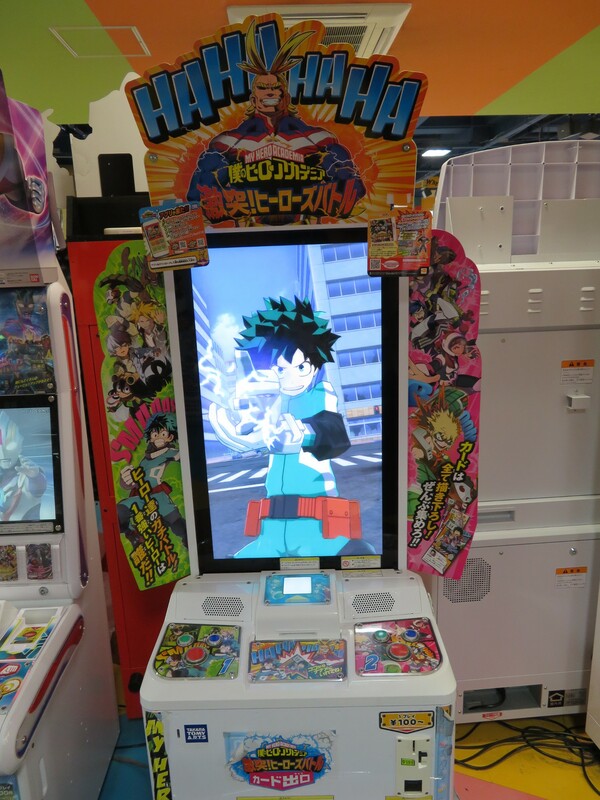 At Shibuya, there’s an Taito arcade north of the station where the Boku no Hero arcade that is depict at the picture is. I was there two months ago and played it.